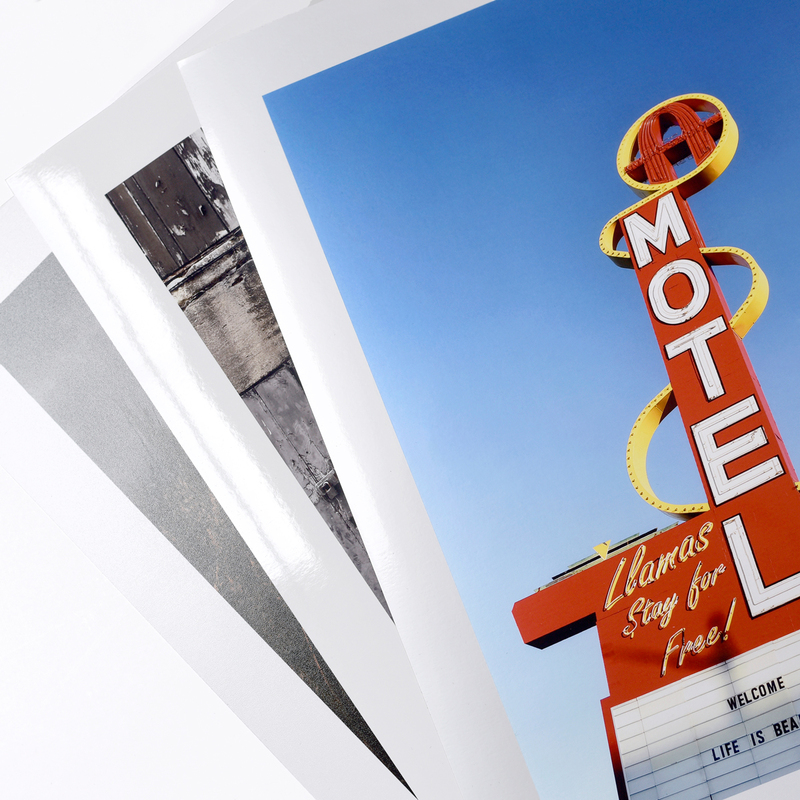 Giclee Fine Art prints (pronounced ‘gee-clay) are extremely high quality, archival grade digital prints that use an ultra fine inkjet printing process to produce superb quality prints unparalleled vibrancy and detail that literally last well over a life time. 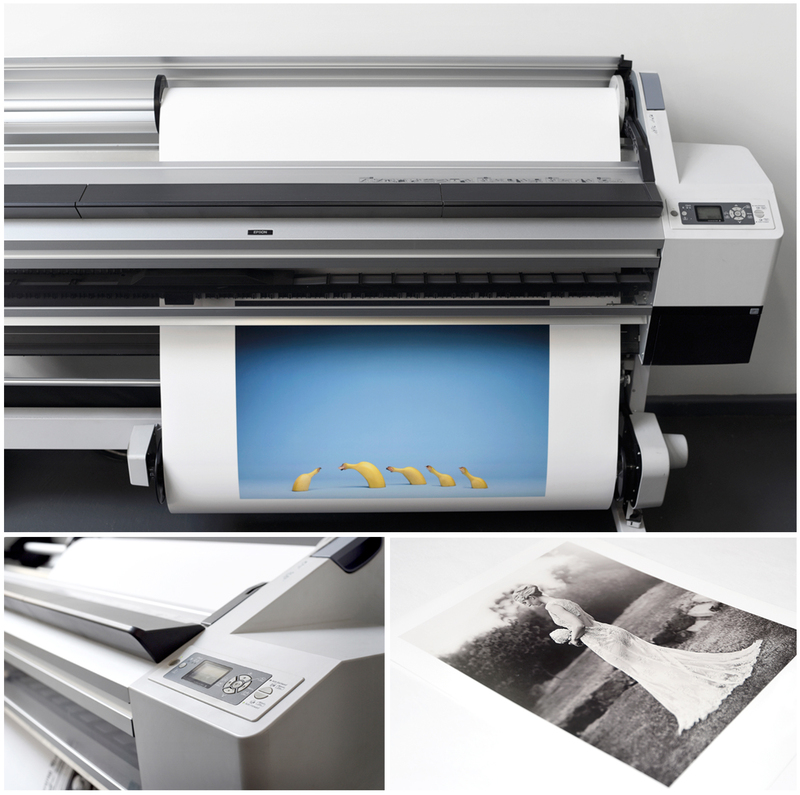 Giclee printing is widely regarded as one of the very best photographic and fine art printing methods and has become extremely popular with artists and photographers displaying their images in art galleries, museums and exhibitions. The word ‘Giclee’ comes from the French verb ‘to spray’ referring to the process in which archival UV–resistant pigment inks are laid down onto fine art and photo-base papers and canvas. We stock a variety of papers to suit your likes and subject matter. From Ilford, Kodak, Canson and Hahnemuhle. View more information on our Fine Art Prints Page. Epsons Ultrachrome K3 inks are pigment based. They offer strong deep blacks, rich shadow detail and a broad smooth colour gamut, allowing for prints of tremendous impact. Independent print permanence tests indicate the lifespan of these inks when used on high quality papers as over 100 years before visible fading occurs. We print on our EPSON Stylus Pro 11880 printer with top of the range SERENDIPITY MEGARIP and expertly profiled by Les Walking ensuring consistency and quality every time. The 9 colour Epson UltraChrome K3 archival pigment ink system has the broadest colour gamut in its class. We can print to a maximum image width of 60inch by any length at the highest 2880dpi resolution. The Epson 11880 can print on all types of media with clarity, colour balance and precision. We recommend all prints be sprayed with a surface protection spray. We can also spray-laminate the finished print using a highly flexible protective coating. The laminate is waterbased, UV Blocked, scratch resistant, antifungal and ultra clear. Prism Imaging accepts no responsibility for prints damaged after they leave the premises. Feel free to pop in store to view paper samples or email us to request a sample pack. 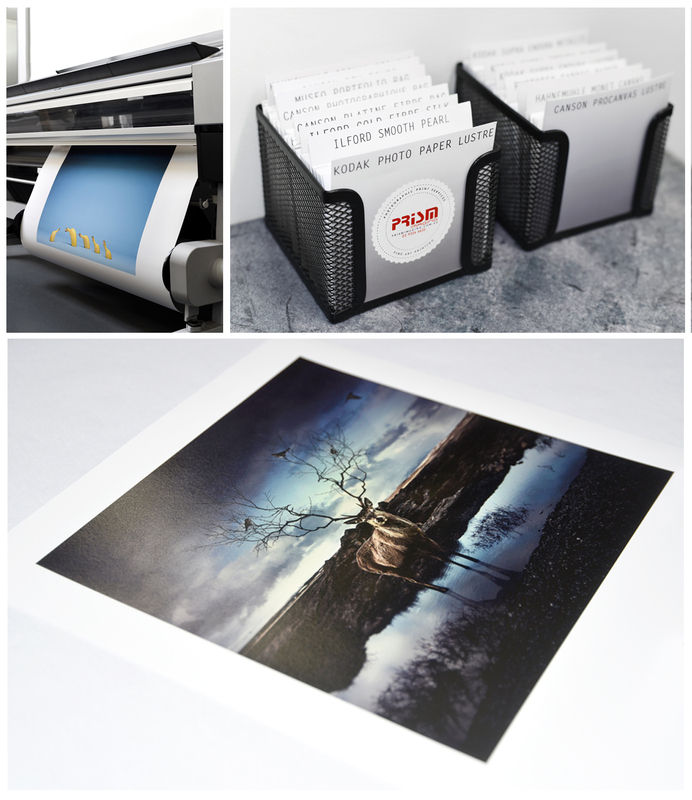 C-type printing gives true continuous tone, sharp photographic images, with crisp and precise edge to edge printing. C-type photographic technology has taken over from the traditional photographic process and uses an LED light source to expose images onto photosensitive professional paper stock. This process is known as ‘wet processing’ in the same manner as traditional photography, otherwise known as ‘RA4’ or ‘C-type’ printing. C-type prints can be produced from digital files, transparencies, colour and black & white negatives. We print on three different surfaces including Lustre, Gloss and Metallic. All papers are Fuji Crystal Archive stock, backed by Fuji’s manufacturing standards giving the paper a superior archival life. Completely colour managed with strict in-house linearization monitoring methods ensures no drift, accurate and consistent prints that will amaze you. Phototex is an extremely versatile material that can be adhered to walls, ceilings, and doors. Because Phototex can be re-positioned and reused over and over, you don’t have to worry about getting it right first time, simply peel off and start again. 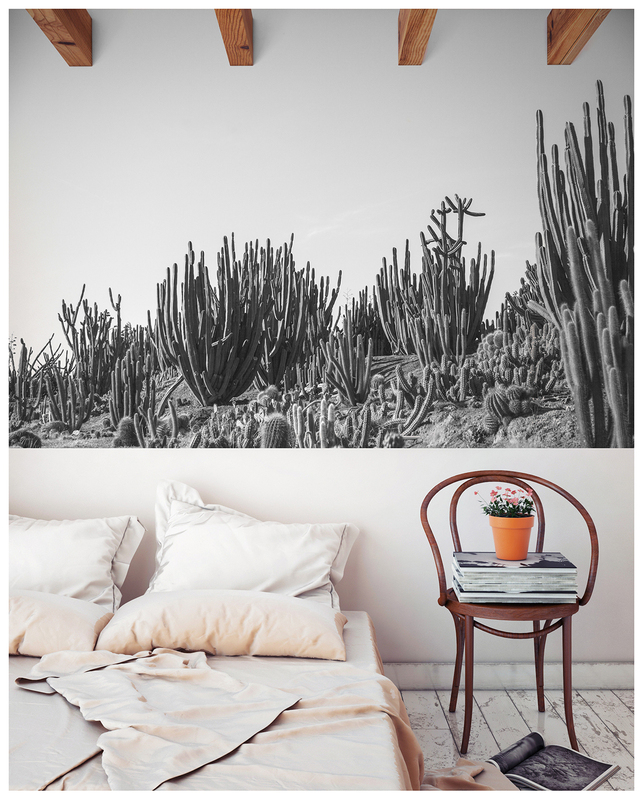 Suitable for both indoors and outdoors use, Phototex is a great option for displaying attractive murals, family shots or wedding photos whatever the temperature, moisture or weather conditions. It leaves no sticky residue when removed and is 100% non-toxic, safe and biodegradable. Phototex prints have a wonderful woven texture with a lustre finish. They can even be mounted around corners for a superb impact; a dream product for interior designers. Why not bring your favourite landscape home with you? To order a Phototex Print simply go to our uploads section in the menu and upload your photo.